BARBARA ANNE SWANSON (nee ROBERTS) Gentle, loving wife to George, beloved daughter, sister, aunt and loyal friend died on November 16, 2017, at the Selkirk Regional Health Centre, at the age of 73. Her funeral will be held on Wednesday, November 22, at 2:00 p.m. in Christ Church Anglican, 237 McLean Ave., Selkirk, MB. The Rev. Brian Ford will preside, assisted by The Very Rev. 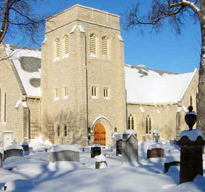 Paul N. Johnson, both of St. John’s Anglican Cathedral, Winnipeg. Eldest daughter of Alf and Elsie Roberts, she spent her childhood in Sherridon and Lynn Lake. She graduated from Grace Hospital and nursed in many places over the years. Barb enjoyed sharing life with her numerous friends. Her nieces and nephews always held a special place in her heart. Later in life, she married George, sharing many happy times, travelling and enjoying nature. Oak Hammock Marsh was a favourite place to walk with Casey and Angel. Predeceased by father Alf, and brother Paul. She is remembered with love by George, stepson Darren (Lindsay), mother Elsie, siblings Bill, Dave (Mariann), Ted (Janet), Ruth and Mary Jo (David), sister-in-law Jan (Paul), and many nieces, nephews, cousins and friends. Barb’s life was filled with numerous challenges which she faced with grace, courage, and fortitude. Her deep Christian faith sustained her right to her end. Donations towards a memorial feature will be welcomed by “Oak Hammock Interpretive Centre” in Barbara’s name. Condolences may be left at http://www.gilbartfuneralhome.com Gilbart Funeral Home, Selkirk in care of arrangements.